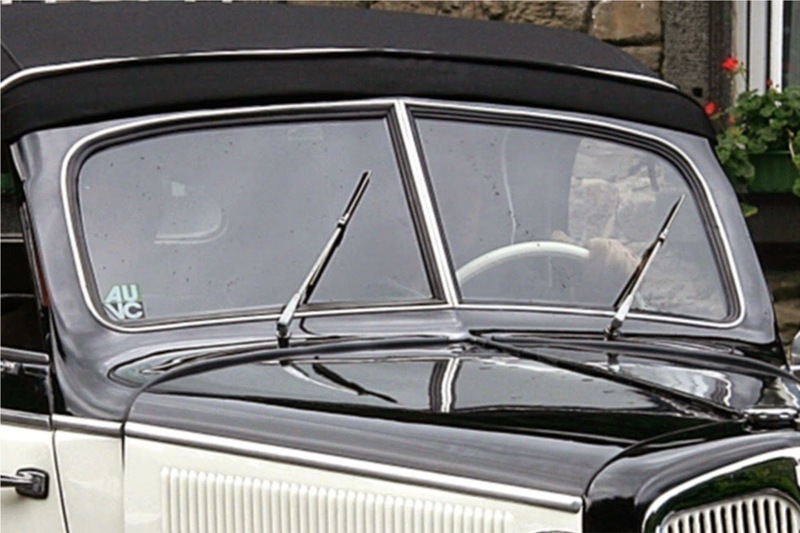 The inventor of the first operational windshield wiper is Mary Anderson is popularly in 1903. She called her invention "window cleaning device". The mechanism of the window cleaning device is operated from a lever inside the vehicle, under or aside of the steering wheel. Anderson had a model of her design manufactured, then filed a patent (US 743,801) on June 18, 1903 that was issued to her by the US Patent Office on November 10, 1903. A scheme of Anderson's 1903 window cleaner design. Anderson was an American real estate developer. 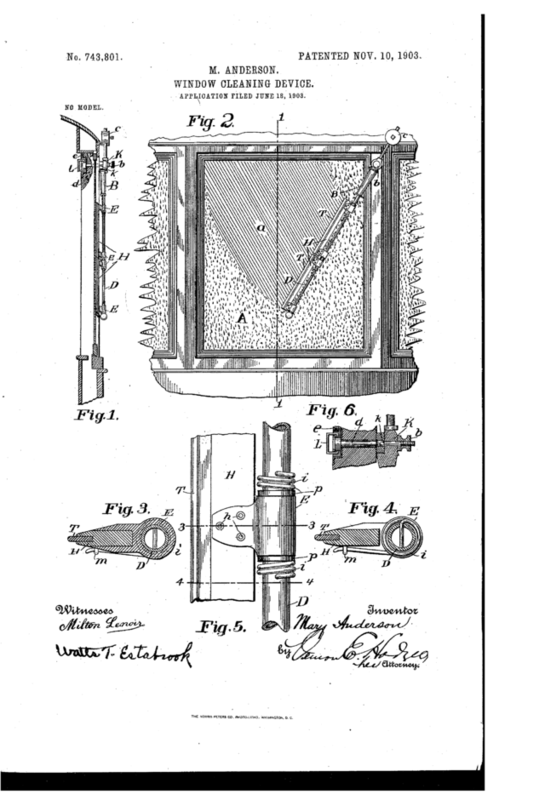 Her idea to invent the windshield wiper appear when she was visiting New York City during winter of 1902. She watched the driver have his windows open to clean the windshield clear from the falling sleet. When she returned home, she hired a designer for a hand-operated device to keep a windshield clear. No response yet to "FACT: The first windshield wiper was invented by a woman"